Latino Community Affairs, an agency that works to advocate for Latino students on campus, organized the protest and march. 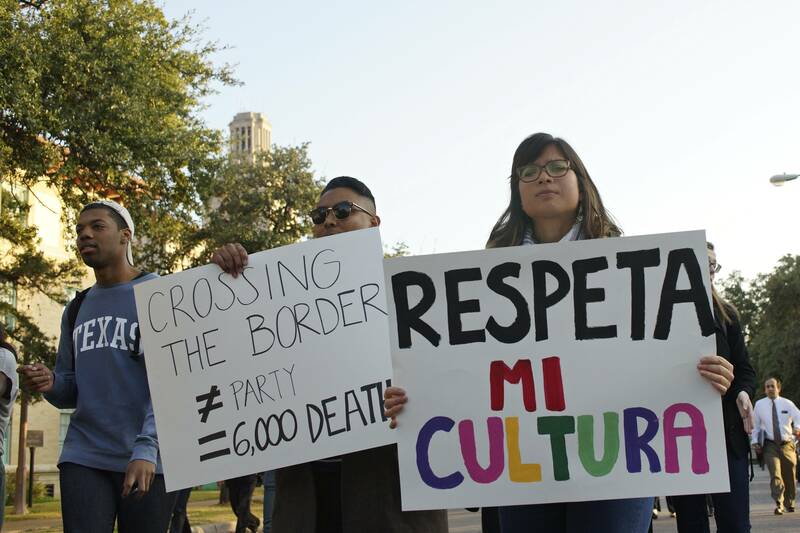 Representatives from different cultural organizations spoke in front of the Cesar Chavez statue in the West Mall before the crowd marched to the fraternity house. Several guests at the Fiji party confirmed they were told the theme was “border patrol” and attendees wore ponchos, sombreros and construction gear with names such as “Jefe” and “Pablo Sanchez” on them. Fiji president Andrew Campbell said the party theme was not intended to be offensive. In the fraternity’s statement, members agreed to work with the Office of Fraternity and Sorority Life to educate members on cultural sensitivity. “We have learned an important lesson about planning and conducting our social events and other activities as responsible members of the University and Austin communities,” fraternity members said in the statement. Rocío Villalobos, a program director at the Multicultural Engagement Center on campus, said Fiji members should have given the party’s theme more careful consideration. Officials from the Office of the Dean of Students met with the fraternity this week and said they are assessing the situation, according to a University statement released Monday. 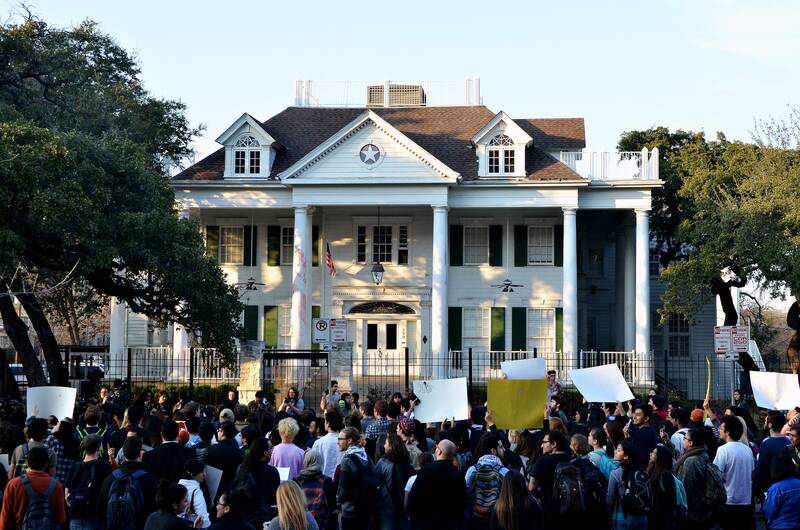 To see more of Thursday's protest, check out our slideshow here.